Clip art-like colored drawing of a white owl in flight. 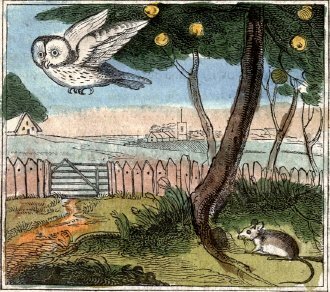 This vintage owl cartoon has a white owl in flight with a nervous little mouse trying to hide. A large apple tree and country lane add more interest to this copyright free bird image.